Join us for an unforgettable race weekend experience at Pebble Beach Resorts®, a 13-time winner of Travel + Leisure Golf Magazine’s Worlds Best Hotels award, on January 26, 2019. The vineyard vines Half Marathon at Pebble Beach®, 10k, and 5k will run through the private grounds of the world-class Pebble Beach Resort®, with the majority of each course featuring scenic views of 17-Mile Drive® and the breathtaking resort property before finishing with a post-race Champagne Brunch at the resort. 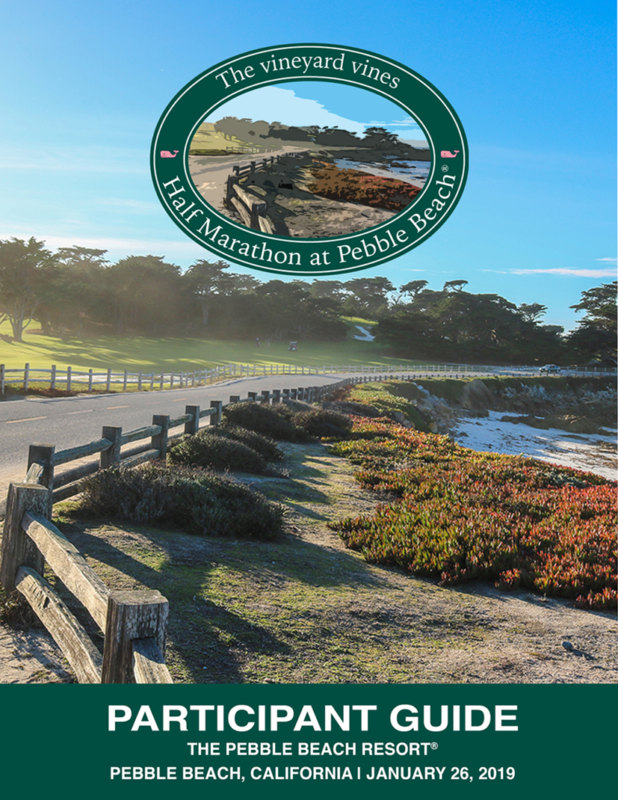 This exclusive event is limited to just 500 participants and provides special participant room and race packages at Pebble Beach’s® historic Inn at Spanish Bay™. 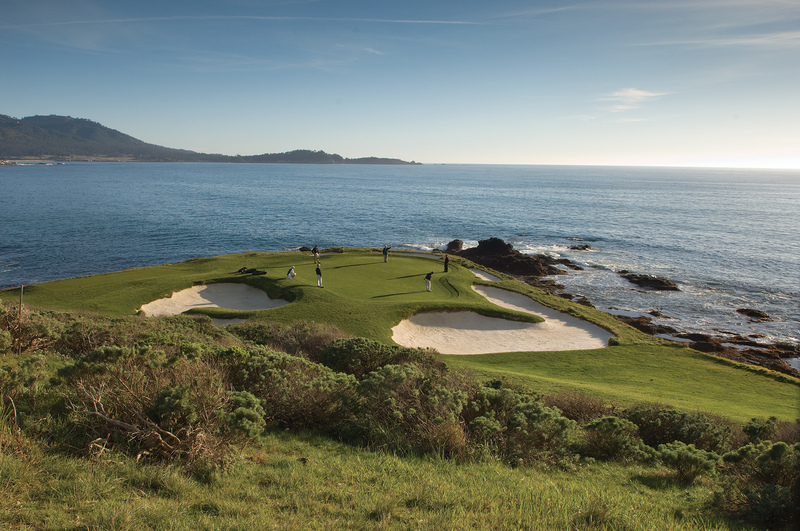 Experience the Wonders of Pebble Beach®: World-famous golf. World-class accommodations. Out-of-this-world scenery. Get goosebumps while standing on the first tee at Pebble Beach Golf Links™ — the No. 1 public course in the country. 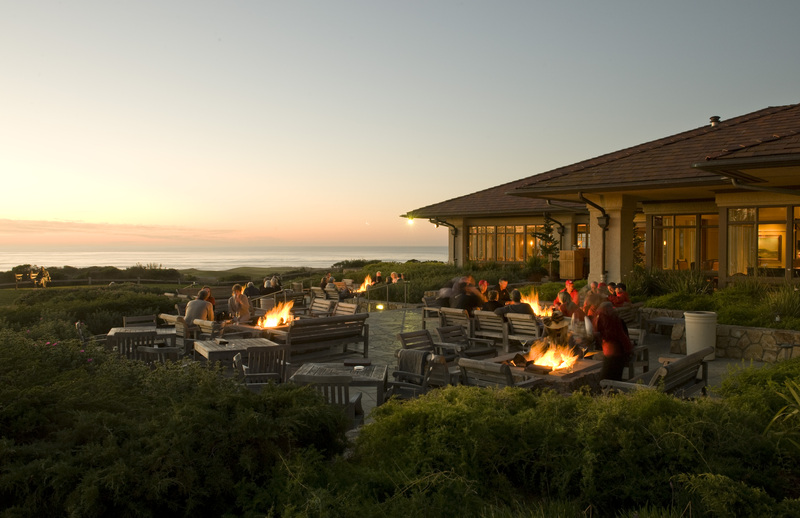 Park yourself at The Bench around a cozy fire while drinking in one of the best views in golf. Let the bagpiper serenade you during a Spanish Bay® sunset. Draw inspiration from the proud Lone Cypress. Discover your own favorite spot along 17-Mile Drive®, or our 25 miles of trails, or the serene Stillwater Cove. 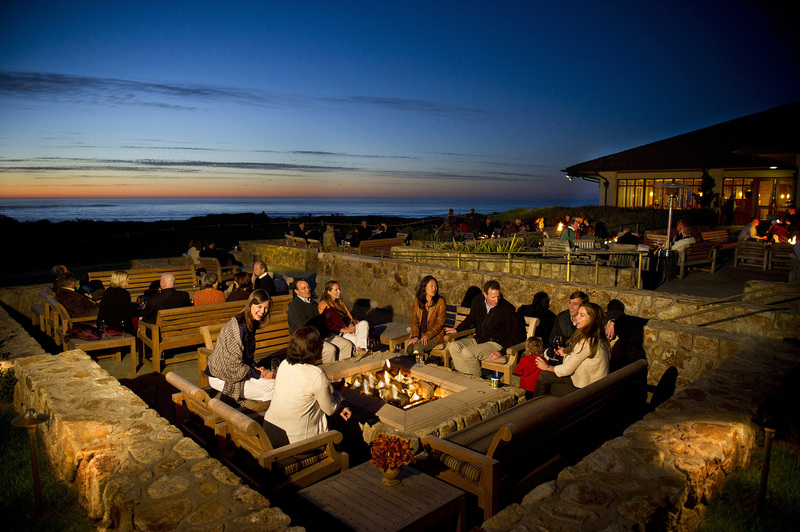 Come join us at Pebble Beach Resorts® and make your own unforgettable memories. Photos used for marketing purposes can be credited to: Pebble Beach Company®, Joann Dost, Scott Campbell, Alex Verticoff, Randy Tunnell, Noah Webb and Bart Keagy. 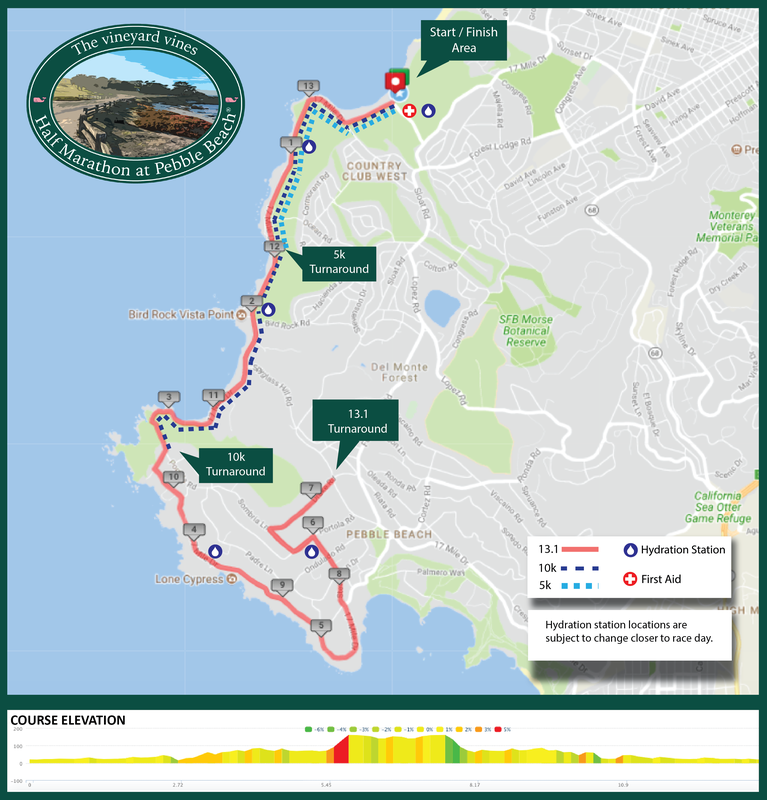 The race will be held at Pebble Beach Resorts® in Pebble Beach, California. Where can I book my race package, room or race registration?? Reserve your spot here! Please note the race is limited to 500 participants. The race is on Saturday, January 26, 2019. The official start time for the half marathon, 10k and 5k will be 7:15 am. Yes! All participants will receive a vineyard vines Participant Performance Tee. We will do all we can to make sure The vineyard vines Half Marathon at Pebble Beach® is produced as planned, but runner safety is always our top priority. If we have to cancel the race because of weather or circumstances outside our control, refunds will not be issued. 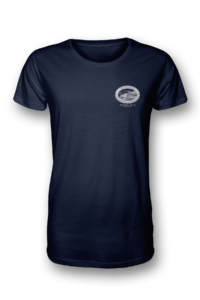 Awards will be given to male and female overall winners based on gun time. Overall awards for the 5k will be presented at 9:00am. Overall awards for the half marathon will be presented at 10:00am. Winners must be present to receive their prize; awards will not be mailed out. Results will be posted in real time here on our website! We will also send you a text message during the race with a link to view the results after you finish. Race refunds will not be issued for any reason, however hotel reservations can be canceled and fully refunded up to 45 days prior to the event. Race packages will be refunded minus the cost of the race entry up to 45 days prior to the event. Yes, you may change your race distance on our website here, up until Friday, January 18 at midnight. After this time, you must change your race distance in person at packet pick-up or on race morning. 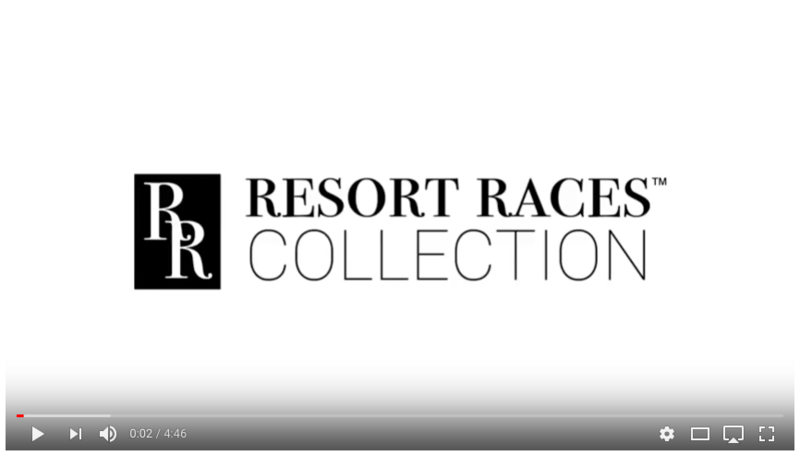 Please note: If you do not change your race distance either online or in person with a Resort Races Collection staff member prior to the race start, you will be disqualified from the event. 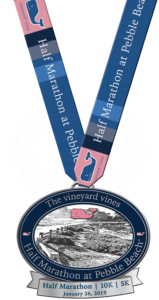 The vineyard vines Half Marathon at Pebble Beach®, 10k, and 5k is a luxury destination race like no other! From your arrival to departure, you’ll enjoy an incredible race vacation at one of the most luxurious resorts in the country. 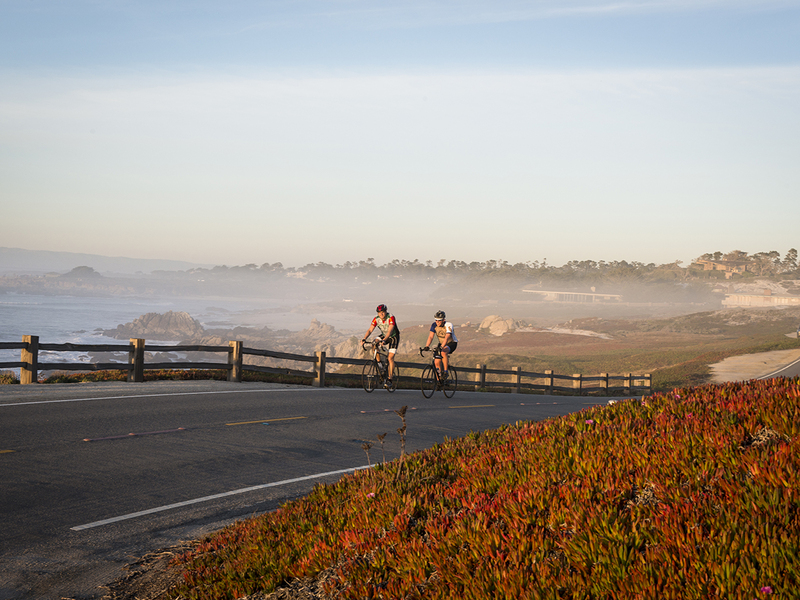 The Half Marathon at Pebble Beach® course is the first race exclusively run oceanfront on world-famous 17-Mile Drive®. Enchanting, idyllic, and breathtaking often used to describe this stretch of heaven on earth, but words can’t even scratch the surface. For the first time, you’ll be excited to run an ‘out and back’ course, just so you can see it again. Click below to download a PDF of the Participant Guide! Get goosebumps while standing on the first tee at Pebble Beach Golf Links® — the No. 1 public course in the country. Park yourself at The Bench around a cozy fire while drinking in one of the best views in golf. 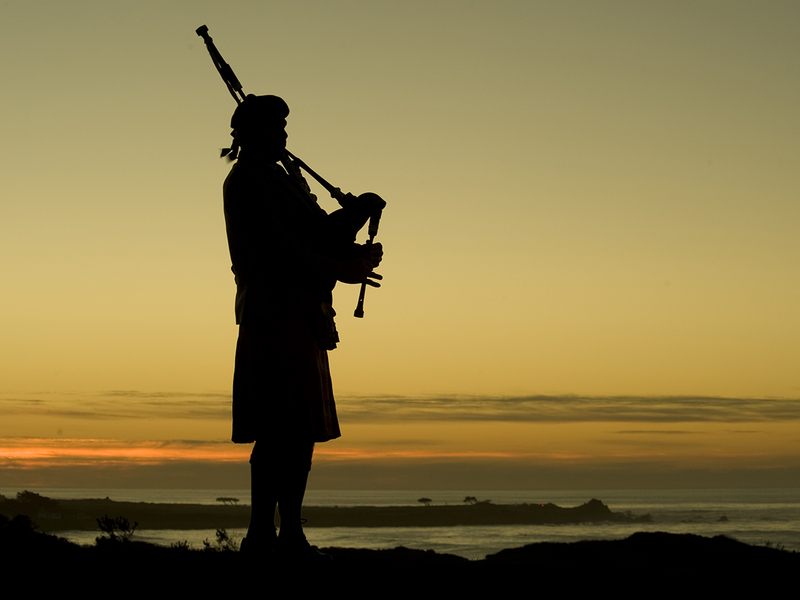 Let the bagpiper serenade you during a Spanish Bay® sunset. Draw inspiration from the proud Lone Cypress. Discover your own favorite spot along 17-Mile Drive®, or our 25 miles of trails, or the serene Stillwater Cove. Come join us at Pebble Beach Resorts® and make your own unforgettable memories. Explore the resort and amenities. With each room a minimum of 470 square feet in size, the guest rooms at The Inn at Spanish Bay™ are wonderfully spacious, giving you plenty of space to sit back, relax and enjoy your iconic surroundings. 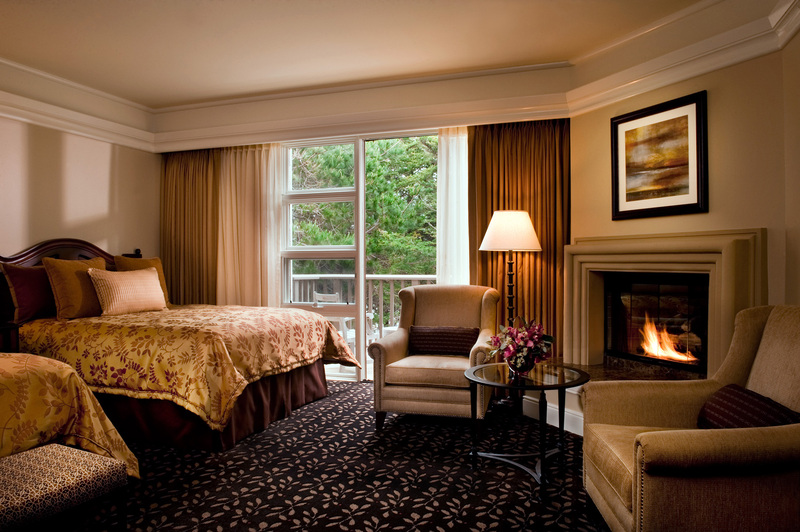 With a gas-burning fireplace and luxurious 300-thread-count Egyptian cotton sheets in every room, you can’t go wrong with your choice of accommodations at The Inn at Spanish Bay. Most Garden View rooms have an outdoor patio or balcony with views of the interior courtyard of The Inn and its beautifully landscaped grounds. Offering a minimum of 470 square feet, each room features a gas-burning fireplace and a marble bathroom. Most Garden View rooms offer a mixture of two queen beds and single king bed options. Most Forest View rooms have an outdoor patio or balcony with views of the enchanting Del Monte Forest, as well as rolling coastal dunes. Each room is a spacious 470 square feet in size or larger, featuring a gas-burning fireplace and a marble bathroom. Forest View rooms offer a mixture of two queen beds and single king bed options. Scenic View rooms are located on the upper level floors of The Inn, affording a partial ocean view, as well as a view of The Links at Spanish Bay and the beautiful Del Monte Forest. Each room is a spacious 470 square feet in size or larger, featuring a gas-burning fireplace and a marble bathroom. Most Scenic View rooms have a single king bed; some have two queen beds. Most Ocean View rooms have an outdoor patio or balcony with spectacular views, including one of the most photographed areas of the Pacific Ocean. 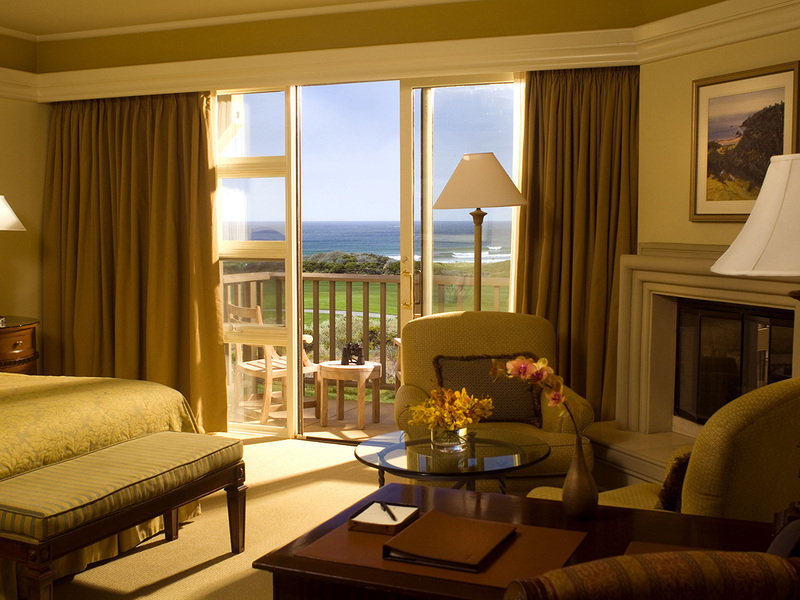 Some of the rooms are located on the 1st fairway of The Links at Spanish Bay™. Offering a minimum of 470 square feet, each room features a gas-burning fireplace and a marble bathroom. Ocean View rooms offer a mixture of two queen beds and single king bed options. While at The Inn, dine at your choice of fabulous restaurants. Stroll along our seaside boardwalk and discover hidden coves and sandy beaches. Play at any of our renowned golf courses, our award-winning Spanish Bay Club™ and Tennis Pavilion, or The Beach & Tennis Club near The Lodge. Come and savor the award-winning hospitality of The Inn at Spanish Bay™. Meandering among the sweeping sand dunes along 17-Mile Drive®, The Links at Spanish Bay™ unveils some of the most spectacular seaside views in Pebble Beach®. The rolling fairways gently flow through and around the gorgeous dunescape, briefly weaving between towering Monterey Pines, before returning to the white sand of Spanish Bay Beach for a thrilling finish along the coast. 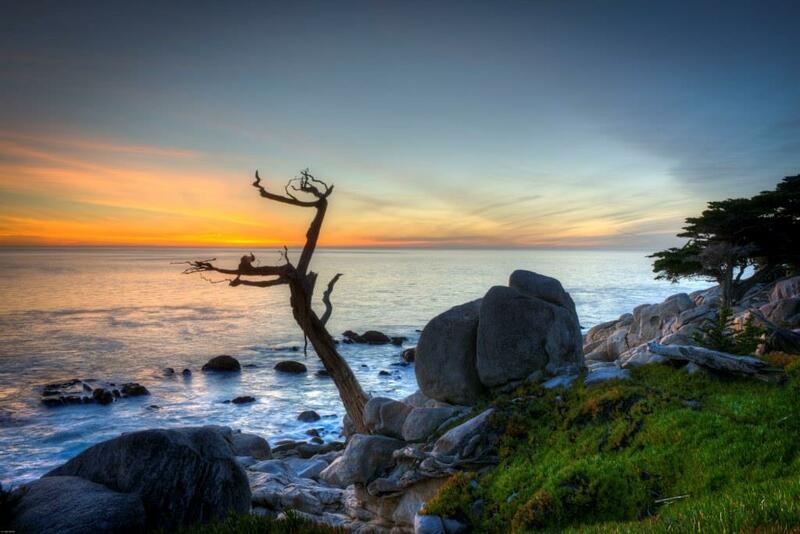 The spectacular setting offers panoramic ocean views of some of 17-Mile Drive’s® most scenic stretches, showing off whitecaps bouncing on the power Pacific and a brilliant sunset. The Links at Spanish Bay™ is very much a sensory overload, with the smell of the beach carried in by a cooling ocean breeze, the sight of the spectacular jagged coastline, and the sound of the famed bagpiper leading you home at the end of a twilight round. The Links at Spanish Bay™ requires precision and patience while negotiating sand dunes, pot bunkers, challenging greens and an ocean breeze. Robert Trent Jones, Jr., Tom Watson and Sandy Tatum teamed up to artfully craft a distinctly Scottish look, blending green and golden hues against a spectacular beachside backdrop to produce a memorable experience unlike any other in Pebble Beach. Explore the many unique shops of Pebble Beach Resorts®. You’re certain to find something special for yourself or a souvenir for someone special. Click here to view the shops near The Inn! 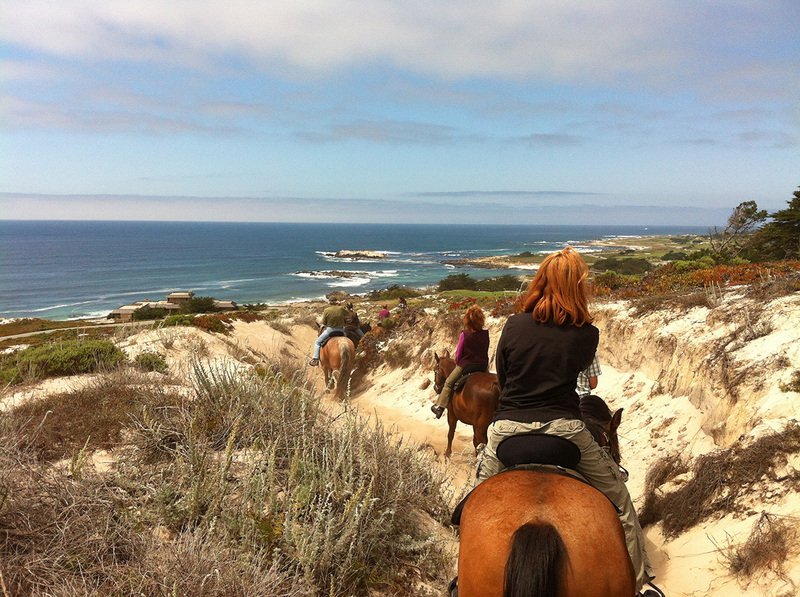 As a guest of The Inn at Spanish Bay™, you are welcome to use our members-only facility. Part wine lounge and part wine shop, Stave Wine Cellar is a luxurious yet casual space to explore the world of wine from the Monterey locale of Pebble Beach. Located at The Inn at Spanish Bay, Stave Wine Cellar takes its name from a stave, which is one of the individual strips of wood that forms the sides of a wine barrel. At Stave, you can enjoy varietals by the glass and small bites, as well as a menu of cheese and charcuterie plates. In addition to nearly 30 wines and eight craft beers by the glass, Stave has over 200 wines for purchase by the bottle, including a wide selection of coveted, hard-to-find bottles. This intimate setting—coupled with knowledgeable staff, including certified sommeliers—is ideal for special wine dinners, events or simply gathering with friends and colleagues for a drink after work or play. Explore activities and sightseeing at Pebble Beach®. Discover the award-winning restaurants and dining experiences of Pebble Beach Resorts®, where our outstanding chefs put their personal twist on locally grown produce, sustainably caught seafood and top quality meats. From savoring a delicious entrée to catching a casual bite, we offer an exciting array of choices that will both tempt and indulge you. 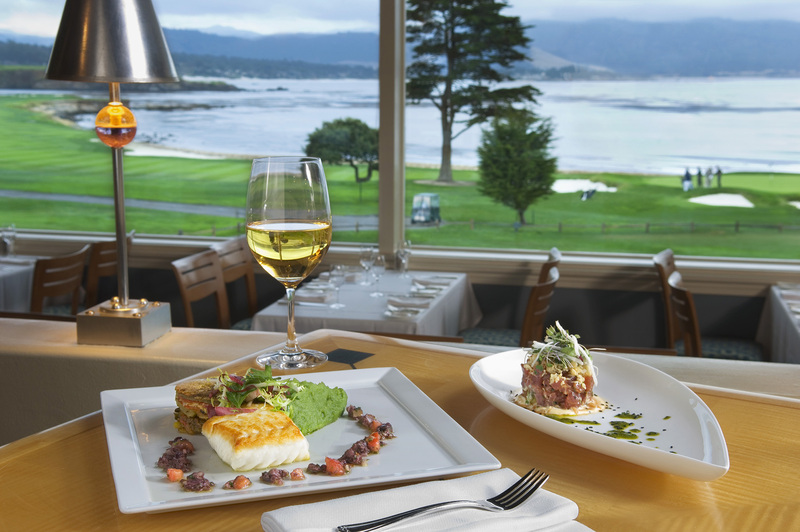 Enjoy premier dining, commensurate with world-class golf, at Pebble Beach®. Stillwater Bar & Grill prides itself in offering the freshest and most flavorful in sustainable seafood and organic produce. Whether it’s breakfast, lunch or dinner—or Stillwater’s famous Sunday Brunch—the menus are sure to delight and amaze. Shellfish lovers will marvel at the bountiful seafood tank, while those who prefer turf to surf can choose from a variety of meaty options. Each of these delectable feasts is enhanced by fantastic views of Carmel Bay and the 18th hole at Pebble Beach Golf Links. A world of culinary and visual delights is waiting for you at Stillwater Bar & Grill! Overlooking the 18th hole at Pebble Beach Golf Links, The Bench at The Lodge at Pebble Beach™ delivers an eclectic menu inspired by international styles and methods, and uses the innovative technique of wood roasting and open-flame cooking. You can also enjoy an array of wines on tap as well as premium micro draft beers. After 18 holes, you’re bound to have a hearty appetite. Experience the warm tavern atmosphere as you step into our “trophy room”, featuring famous golfer’s biggest moments throughout history from wall to wall. The Tap Room is a wonderful watering hole with a great selection of draft and bottled beers, vintage wines, select scotches and whiskeys and other top quality spirits. It’s also a world-class steakhouse serving up hearty All-American fare, from Kobe burgers to Prime Rib to our 22oz bone-in center cut Prime Delmonico. The Tap Room selects only the finest, hand-selected Prime and certified Angus beef, grilled to perfection in a high-intensity Montague broiler. Renowned for its extensive collection of historic prized golf memorabilia, The Tap Room is a comfortable and inviting place to watch televised sporting events as you enjoy an unbeatable meal. In the mood for a hearty home-style breakfast or lunch? Look no further than Gallery Cafe at The Lodge at Pebble Beach™. When you’re ready for cocktails and intimate conversation, it’s time to gather at The Terrace Lounge at the Lodge at Pebble Beach™. Its picturesque setting offers a full cocktail bar and spectacular views of Carmel Bay and the world-famous 18th hole on Pebble Beach Golf Links®. Join family and friends, as you sink into a comfortable, overstuffed chair and enjoy the sights and sounds of The Terrace Lounge. Choose from over a dozen restaurants and venues, each designed to provide a memorable epicurean adventure. The Pacific Ocean. Del Monte Forest. These two magnificent realms converge at just one place on Earth: Pebble Beach Resorts. The Spa at Pebble Beach—one of only 56 spas in the world to receive the coveted Forbes Five-Star Award—celebrates this combination with signature services that incorporate the healing properties of plants, herbs and minerals indigenous to California’s Monterey Peninsula. 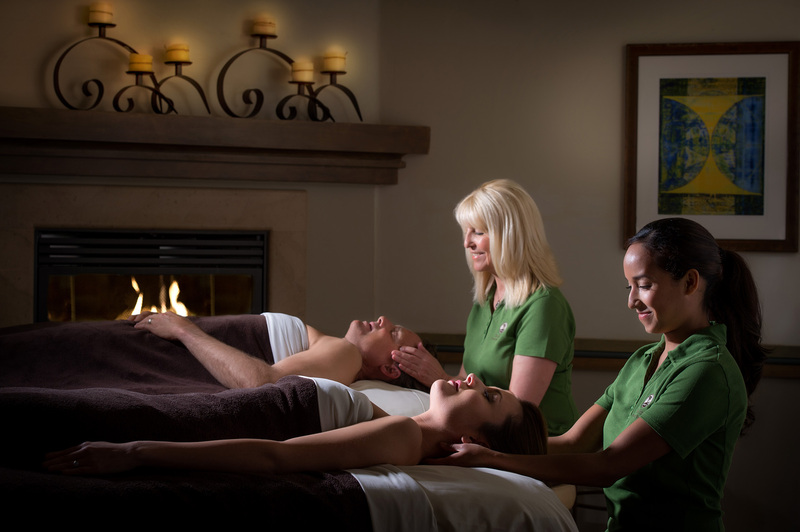 The Spa at Pebble Beach™ offers a variety of unparalleled spa services designed to reduce stress and enhance balance, including signature massages, body scrubs and wraps, water treatments and esthetics, as well as nail care and hair styling. Click here to view the services offered at Pebble Beach. The 22,000-square-foot Spa will relax and revitalize your mind, body and spirit with an exceptional selection of treatment rooms, esthetics and unexpected finishing touches. According to the Forbes Five-Star Travel Guide, stepping foot in one of the best spas in the world should be “an exceptional experience with no detail overlooked. These properties wow you with extraordinary design and facilities, and uncompromising service.” Welcome to The Spa at Pebble Beach. Golf the Game of a Lifetime at Pebble Beach Resorts®. The sport of golf is at its worldwide best at Pebble Beach Resorts®. Whether you want to play the most exciting closing hole in golf, finally master the toughest hole on the PGA TOUR or simply anticipate walking in the footsteps of golf’s greatest names, we invite you to become a part of the incomparable experience that is Pebble Beach. Since 1919, golfers from around the world have dreamed of playing Pebble Beach Golf Links®, rated the greatest public golf course in America by Golf Digest for 13 consecutive years. Click here to view the course overview. Celebrating its 50th anniversary this year, Spyglass Hill Golf Course takes its inspiration from the classic novel, Treasure Island, and is considered one of the toughest courses on Earth. Click here to view the course overview. With its rugged coastline, sweeping ocean views and rolling sand dunes, The Links at Spanish Bay™ is one of the most authentic Scottish links-style golf courses in North America. Click here to view the course overview. As the oldest golf course in continuous operation west of the Mississippi, this hidden gem of Pebble Beach Resorts® has challenged professionals and amateurs alike for more than a century. Click here to view the course overview. The only 9-hole par-3 course on the Monterey Peninsula, our Peter Hay Golf Course is the ideal place to perfect your short game or introduce the sport of golf to children and beginners. Click here to view the course overview. 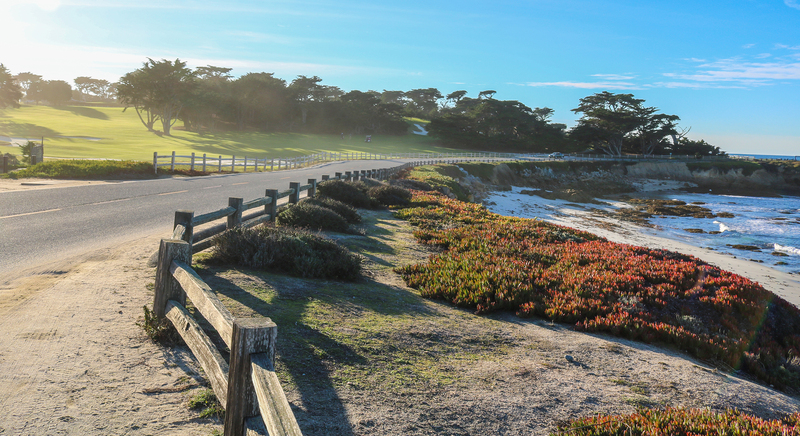 Experience a breathtaking course along the iconic 17-Mile Drive®. 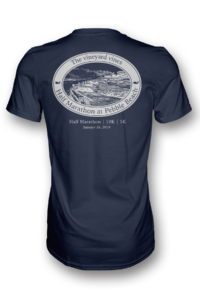 The vineyard vines Half Marathon at Pebble Beach®, 10k and 5k is the first race to run exclusively on 17-Mile Drive® since it was first opened in 1881. You will run along one of the most scenic drives in the world where dramatic coastal cliffs, snow-white beaches, mystical forests, and iconic golf courses will greet you along the way. The post-race party for The vineyard vines Half Marathon at Pebble Beach® will be unlike any post-race party you’ve seen! After your race, you can relax and enjoy the scenic views while celebrating at the Inn at Spanish Bay® with a delicious champagne brunch prepared by Pebble Beach’s® exquisite culinary team, a live band and more! Photo by Joann Dost. One ticket to the post-race party and brunch is included in each registration, and additional tickets are available for purchase for any spectators wishing to join the fun. The post-race party will be held from 8am-11:30am. There’s only one Pebble Beach®, but there are endless ways to enjoy it. Elevate your race weekend experience and enjoy full weekend amenities with one of our Race Weekend Packages. 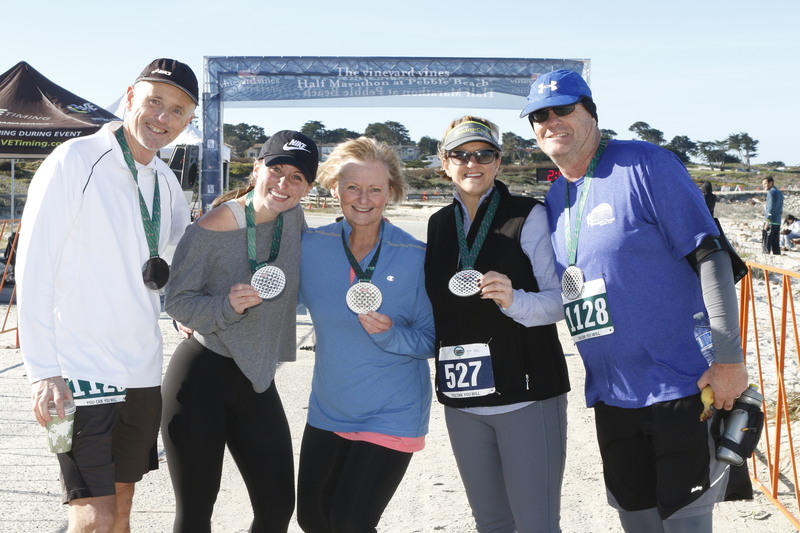 This race package offers gracious accommodations associated with a stay in The Inn at Spanish Bay™, plus a free race entry to the vineyard vines Half Marathon at Pebble®, 10k, or 5k! Fuel up on race morning with a pre-race breakfast. Afterwards, you can relax and celebrate your race at the Champagne Brunch. Nestled among majestic Monterey pines—and fronted by a Scottish-style links golf course that touches some of the most breathtaking coastline in the world—The Inn at Spanish Bay is an idyllic retreat. Stay Friday night and enjoy a complimentary Pre-Race Breakfast. Airport Services: The most convenient airport is the Monterey Peninsula Airport, located approximately 15 minutes from Pebble Beach Resorts®.